We love our dogs, they are a big part of our lives and we would do anything for them so don’t you want to know a little more about them? After reading these interesting facts about your dog you probably didn’t know, you will love and appreciate them more, if that’s even possible! Your pup might get jealous from time to time, but researchers found that those adorable puppy eyes are not a sign of guilt, it’s just the way we interpret a dog’s reaction to being scolded. 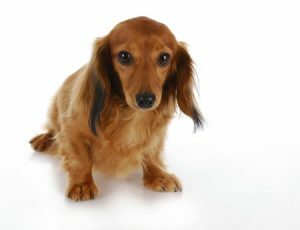 A college student found that all dogs tend to look “guilty” after being yelled at for eating something they shouldn’t have, but dogs who were wrongly accused often look even more “guilty” than those who really deserved to be in the dog house. Many think that dogs can only see in black and white but that is a myth. Dogs can actually see colors, just not as well as humans. They only have two cones in their eyes to detect colors while humans have three. This tells us that dogs see colors on a blue and yellow scale but cannot distinguish between green and red. Research at a hospital in Germany found that dogs have an incredible ability to recognize the smell of organic compounds that show that the human body isn’t working properly. So the next time your dog is sniffing you or someone you are with, don’t get annoyed because they could be diagnosing some sort of disease or cancer. Scientists will surely explore this amazing find further in the future. Your dog is smarter than you think so keep loving and taking proper care of them! If you are looking for a small breed puppy business in the Ashland, Virginia area, give Pauley’s Pups a call at 804-798-7877 or stop in to see what we are all about. We truly love our puppies and we know you will too!